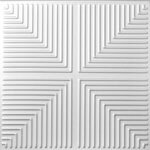 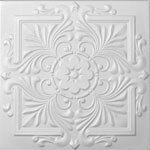 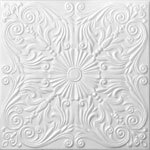 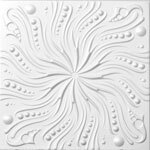 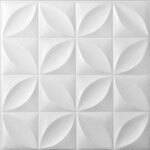 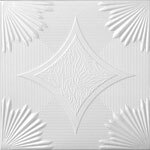 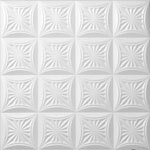 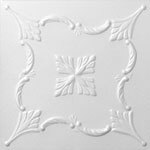 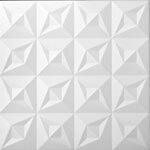 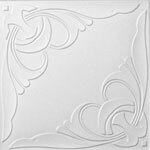 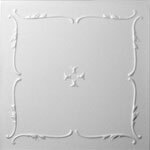 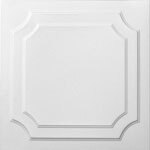 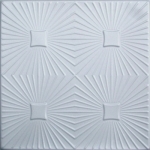 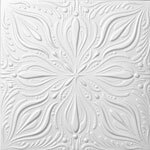 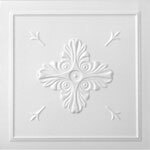 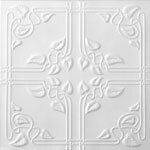 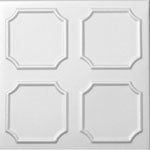 Foam ceiling tiles are beautiful, easy to install affordable ceiling tiles designed to resemble the decorative tin ceiling tiles popularized in America in the late 19th and 20th century. 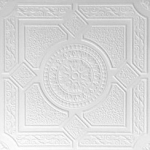 Tin ceiling tiles originally were developed as an alternative to the expensive and ornate European ceiling plasterwork. 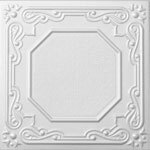 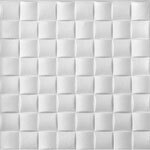 Foam ceiling tiles, also commonly known as polystyrene ceiling tiles, are lightweight, 20″ x 20″ squares that can be glued to almost any ceiling surface. 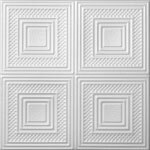 Perfect for both commercial and residential ceilings, foam ceiling tiles can be glued over existing popcorn ceilings. 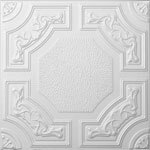 It should be noted that foam ceilings are not structural so they must be attached to your current ceiling infrastructure. 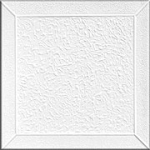 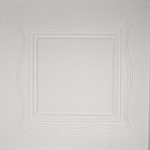 Most foam ceiling tiles come in white but are paintable with any water based paints. 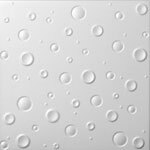 It is recommended that you use an airless paint sprayer rather than spray paint can since the propellant in spray paint cans can cause pitting (Just ask our Odyssey of the Mind Team how they created a swiss cheese from sheets of foam.) 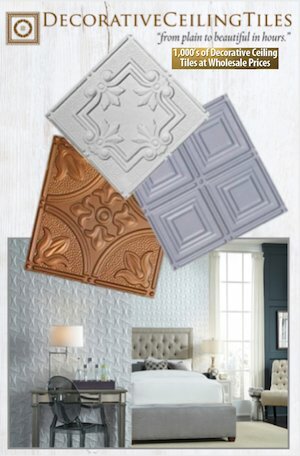 The ability to customize your tiles to fit your color scheme and design style makes these tiles perfectly suited for all of us exacting interior designer wannabe’s. 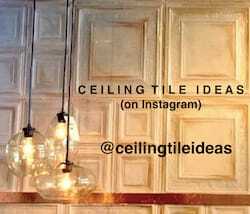 Also be sure to check out this fabulous kitchen makeover using foam tiles to cover damaged UGLY popcorn ceilings! 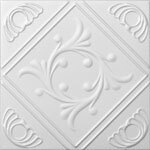 So if you are considering removing your old or stained popcorn ceiling, think again. 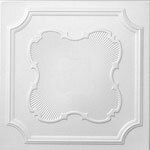 Years ago, long before I knew anything about decorative ceiling tiles, we had our ugly popcorn ceilings professionally removed. 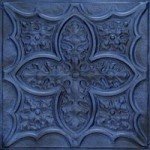 What an expensive, inconvenient mess! 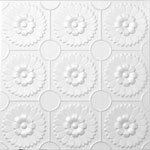 If I had to do it all over again, I would absolutely choose to resurface the ceilings with a a decorative foam ceiling tiles instead — although I must admit, I am having trouble deciding which of the patterns I like best. 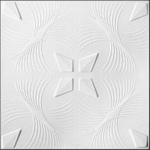 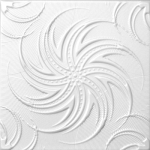 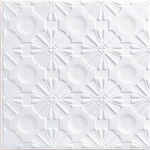 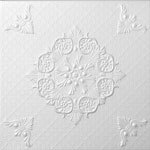 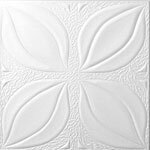 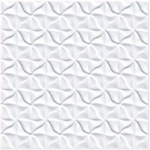 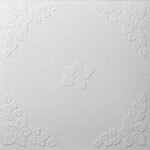 Foam ceiling tiles are an affordable way to to transform your home or business from plain to beautiful in hours. 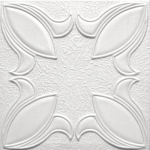 If you have any questions call Milan at 754-367-8349. 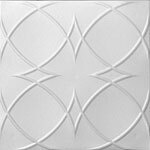 He has a wealth of product knowledge and has hands on installation experience, plus he is patient and funny! 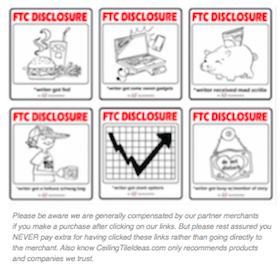 Just tell him Marcia sent you.